M Mushfiqul Fazal from New York, Dec 16 (Just News): Amid festivity and mass enthusiasm the United Nations Correspondents Association (UNCA) awarded the winners of the 22nd Annual UNCA Awards-2017 for the best print, broadcast and electronic media coverage of the United Nations, UN agencies and field operations on Friday. 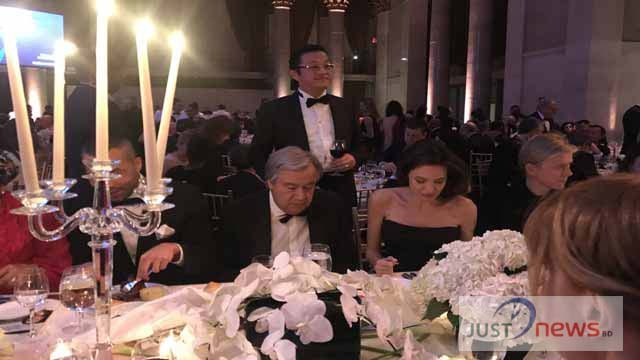 The Awards giving ceremony, reception and dinner was held at Cipriani 55 Wall Street in New York in presence of the United Nations Secretary-General António Guterres and popular actress, UNHCR Special Envoy, Angelina Jolie. Famous comedian Jordan Klepper presented a wonderful presentation. The UN chief in his remarks said a free press is crucial for peace, prosperity and human rights for all. Reporters, photographers and other media workers give voice to the voiceless, shine a light on global challenges and tell the stories that need to be told. Their words and pictures regularly change our world for the better. 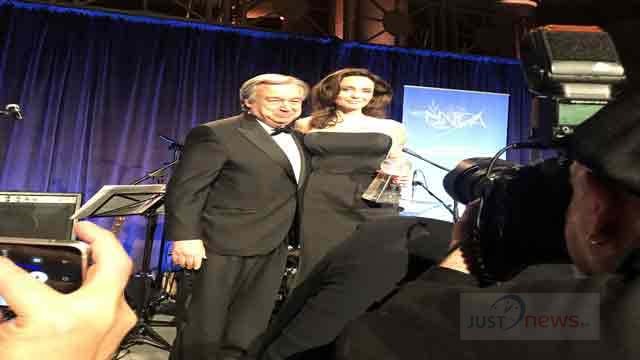 Guterres said journalist often face harassment and grave risks while carrying out their work. Attacks against journalists are attacks against our common values. Infringement on their fundamental freedoms harm us all, he added. Angelina Jolie, recipient of the 2017 UNCA Global Citizen of the Year, also made an emotional speech to the audience, and all of them listened her words with pin drop silence. Ongoing humanitarian crisis of Myanmar, Syria and Yemen were also highlighted in her speech, and there was a vow for establishing human rights safeguard and freedom of press around the world. UNCA President Sherwin Bryce-Pease made the welcome address at the beginning of the ceremony and welcomed all the participants. 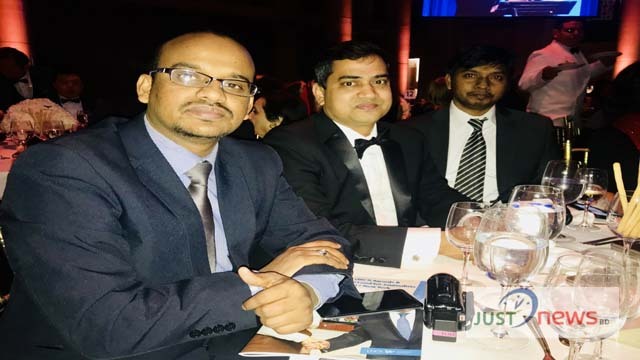 Al Jazeera English reporter James Bays announced the name of winners of the 22nd Annual UNCA Awards-2017 and called them to the stage to receive their awards. The awards winners of different categories are: Arison Tamfu of Daily Reporter in Cameroon, Jared Ferrie of IRIN, Gregory Scruggs of Citiscope/Thomson Reuters Foundation, Michele Bertelli for Freelance in Italy, Francois Rihouay of France 24, Rosiland Jordan of Al Jazeera English, Paul Shalala of ZNBC in Zambia, Somini Sengupta of the New York Times, Kait Bolongaro of the Guardian, Hangwei Li, co-author of the Guardian, Lucydalia Baca Castellón of Diario La Prensa in Nicaragua, Lyndal Rowlands for Freelance, Marc Ellison of Huffington Post, Didier Kassai, co-author of Huffington Post, Azad Essa of Al Jazeera English and Laura Angela Bagnetto of Radio France Internationale (RFI).